The first step to having a great photo collection? Organizing it. 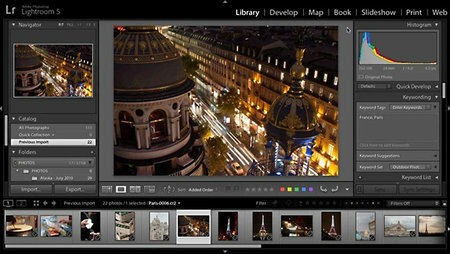 Lightroom's Library and Map modules are great for reviewing, labeling, and adding location data to your digital photographs, all of which make it easier for you to locate the right image exactly when you need it. Tim Grey reviews both modules and also shows how to import photos into your catalogue, make sure your work is backed up, and quickly group related images together with Smart Collections. Lynda: Lightroom 5: 01 Organizing Your Photos with Tim Grey download full.free Lynda: Lightroom 5: 01 Organizing Your Photos with Tim Grey from nitroflare lumfile rapidgator turbobit letitbit uploading extabit ryushare shareflare littlebyte filesuploader.